There may be many reasons and motives for considering a nose correction. If the shape of the nose or a too large or unattractive nose bother you, aesthetic rhinoplasty will suffice. If, in addition to the desire to improve the attractiveness of the bridge or wings of the nose, there are also problems with breathing through the nose, aesthetic-functional nose correction can provide relief. We are your specialists for plastic surgery on the nose. In addition, there is our high level of specialisation with operations dealing with general nose surgery and specialist nose surgery, including where complicated medical requirements are a factor. You would like an experienced nose surgeon, whom you can trust to answer your questions about a possible nose correction? We are a group practice made up of three specialist facial plastic surgeons and ENT surgeons in Kassel. 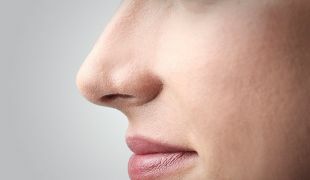 Our range of operations extends from small corrections and improvements to externally visible parts of the nose, such as the tip, bridge or wings of the nose through to difficult nose corrections and post-corrections, as well as nose reconstructions following an accident or removal of a tumor. We are consulted by patients from near and far. More than a few of them wish to benefit from our years of surgical experience, even with supposedly hopeless problems relating to surgery on the nose. Whether it’s cosmetic nose operations or the straightening of the nasal septum, reduction of the nasal turbinate bone and improvement in nasal function: we offer daily advice and operations and are happy to make the skill gained from this experience available to you. Nose correction yes or no – what will your health insurance cover and what will it not cover? You obviously need a definitive answer to this question: as a general rule, health insurance will cover the costs for any operation for which there is a medical need. On the other hand, you must generally fund purely aesthetic rhinoplasty yourself. Of course, each specific case will be assessed individually. We will provide you with the costs of an aesthetic nose correction or for a so-called combination surgery, which consist of an aesthetic nose correction and, for example, an operation to improve the function of the nose. This gives you the opennenes and confidence you need in advance of further treatment, which include the financial aspects. As a general rule, you will have to cover the purely aesthetic proportion of the nose operation yourself, as this is not defined as medically necessary. Specific cases are assessed individually. As facial plastic surgeons we possess, in addition to our highly specialised expertise in complex ENT surgery, a particular eye for a realistic and achievable result. Correcting and changing the external shape and internal structure of the nose in one operation is an integral part of our work. Procedures on the inner nose fall into this category, including straightening of the nasal septum, reduction of the nasal turbinate bone and cleaning out the sinus cavities. 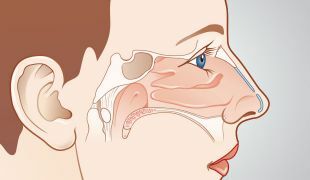 Special nasal surgery includes, amongst other things, advanced surgery on the sinus cavities, through which diseases can reach the tear duct, optic nerve, eye socket and anterior skullbase, which can be treated via the nose. How do I find the right nose surgeon?